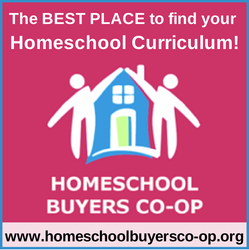 You know you want a good lunch and those crummy leftovers in the fridge just won't do. 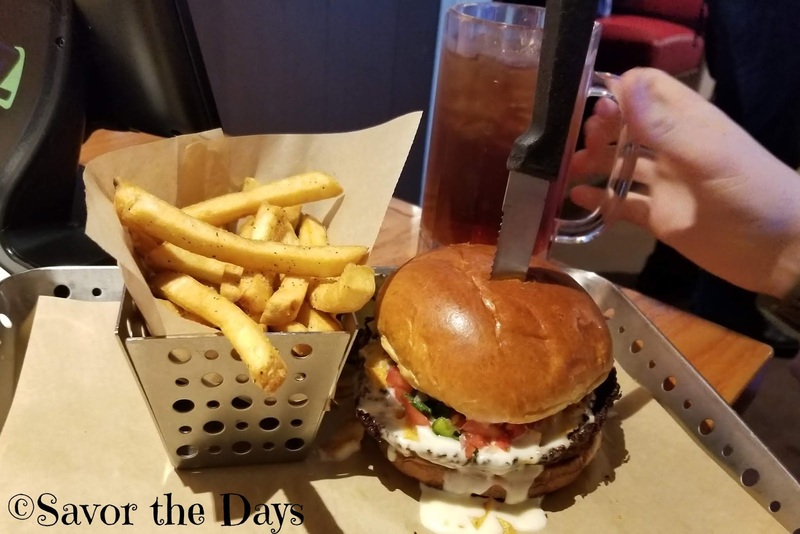 And why bother cooking tonight when you can grab an amazing burger at Chili's instead? 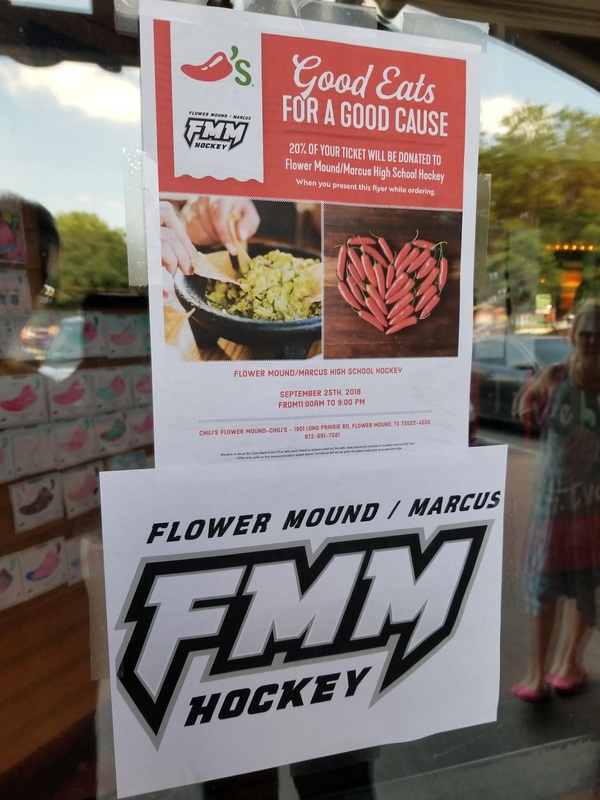 Take a day off from cooking and come out to Chili's in Flower Mound (Long Prairie/FM 3040 location only) to support the Flower Mound/Marcus Hockey Club! This is Nicholas' first year to play on their Junior Varsity team and he is loving it. Chili's will donate 20% of your check between 11am and 9pm TODAY only! 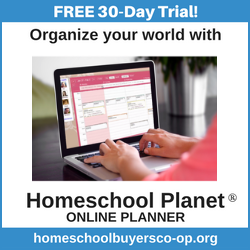 If you really want to support the team, you could go out for both lunch AND dinner! 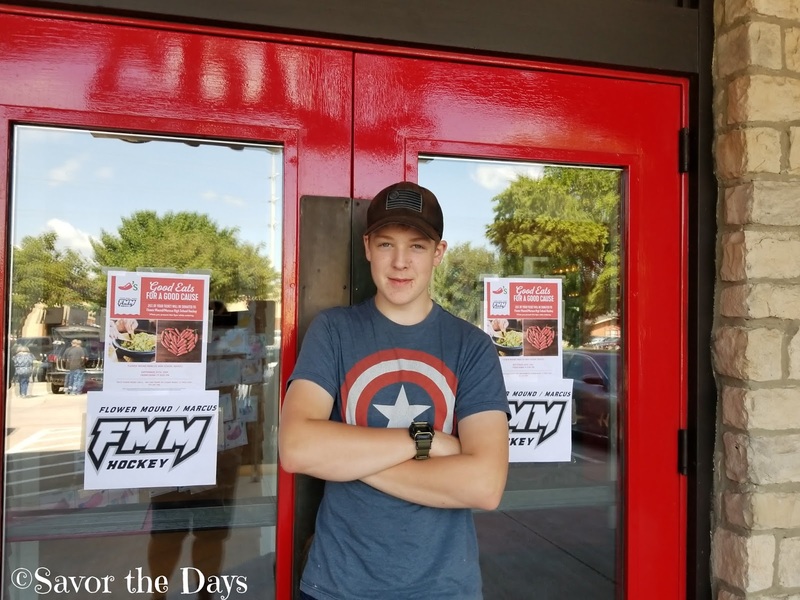 Just be sure to tell them you are there to support the FMM Hockey Club! We stopped by for lunch today and it was great. 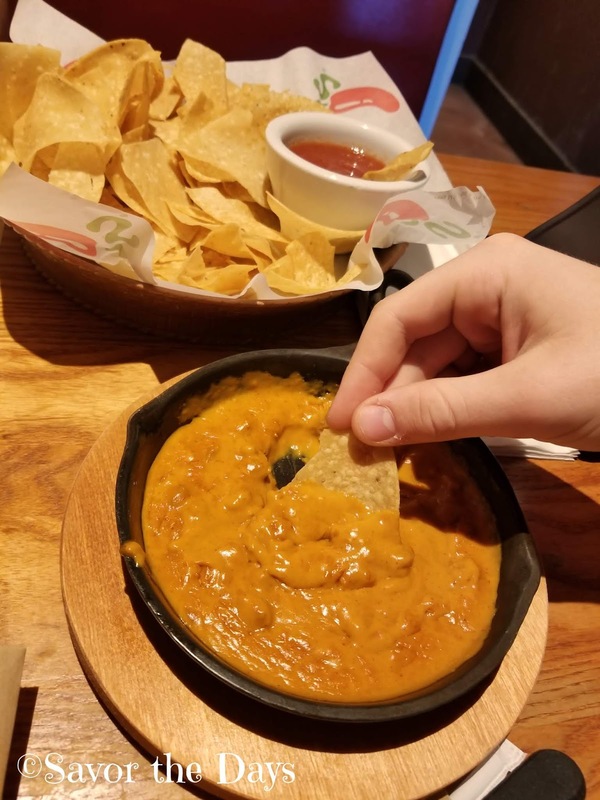 We had to try the Skillet Queso which is a Chili's staple. It is creamy queso with beef and chili in it. The kids both got burgers. 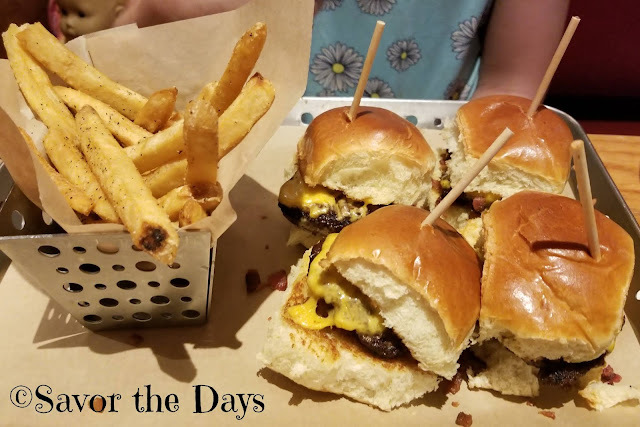 Rachel got the Big Mouth Bites sliders. It comes with four mini burgers loaded with cheese, bacon, sautéed onions, and homemade ranch sauce. Nicholas ordered the big honking 1/2 pound Queso burger. Look at all of that creamy queso oozing out of the burger! There is also pico and tortilla chips in it! I tried to order something other than "my usual" but I just couldn't do it. I ordered the Cajun Chicken Pasta. My fav! 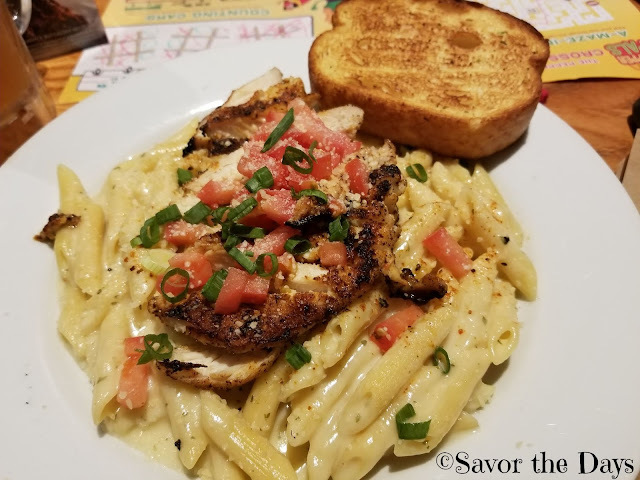 It comes with penne pasta in a delicious Alfredo sauce topped with grilled chicken, Parmesan, chile spices, tomato, and green onion. I know I sound like an advertisement for Chili's....and that is my point. Get off your bottom and head to the FloMo Chili's at Long Prairie and FM 3040 and get yourself some grub. Be sure to tell your server that you are supporting the Flower Mound/Marcus Hockey team and they will donate 20% of your bill to the team to help out the boys. Your belly will thank you and so will the team!